I was recently in London and stumbled upon one of the most inspiring interactive exhibits. 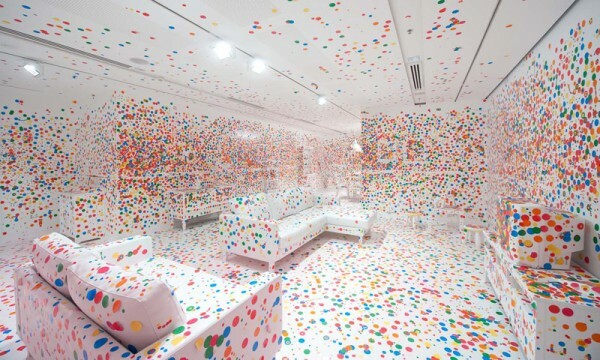 Spot obsessed artist Yayoi Kusama‘s Obliteration Room began as an entirely white space, furnished as a monochrome living room, which people were then invited to “obliterate” with multicolored stickers of different sizes and colours. My mind was racing as I smacked my stickers on walls, tables and the floor. 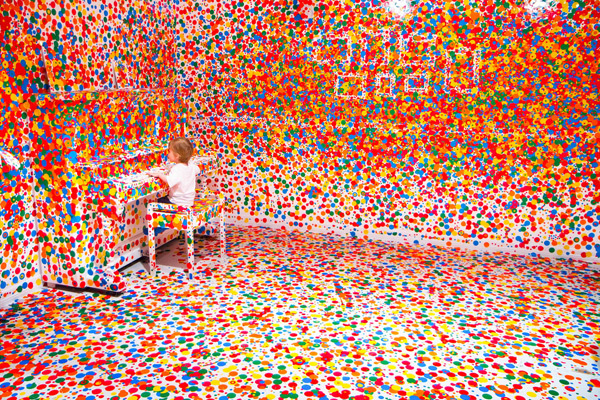 Imagine using this concept as an interactive component to an event… I am!